Univenture’s comprehensive command of the production process makes modification headaches a thing of the past. Our UniKeep™, EnvyPak™ and Safety-Sleeve® brands were developed with compatibility in mind, so we strive to meet your company’s most complex customization needs. 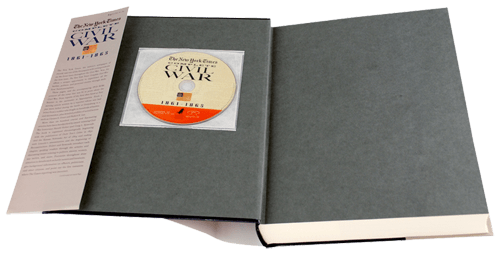 an adhesive DVD sleeve with their Complete Civil War book. Your product is valuable, and we have the capability to ensure that value isn’t compromised. Adding tamper-resistant or tamper-evident perforated flaps or strips to your product is a straightforward measure, but it can go a long way toward giving your company peace of mind that your product is being used properly. We’ve managed to create a tamper-resistant packaging solution that in no way diminishes from your product’s visual appeal. Tamper-resistant flaps are an easily added step in our automated disc insertion process, but we can also develop a tamper-resistant package for almost any kind of product. Rather than worrying about how your product will fit, let us take care of a custom product packaging solution to fit your product. Packaging products of unusual sizes is no challenge with the breadth of experience in custom solutions that Univenture carries. Well over 20 years of experience in product development, expertise in building automated packaging equipment, and established relationships with insertion equipment manufacturers make Univenture the logical choice when your package requires a custom size. Together we can devise a way to protect, distribute, and market your product inventively and efficiently. 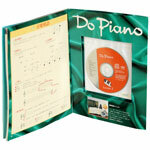 Graphics instantly add a professional luster to the presentation of your disc’s packaging. 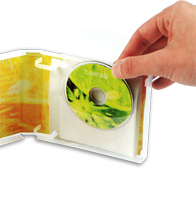 All Univenture sleeve products can be produced with or without a pocket to hold a printed sheet or booklet. 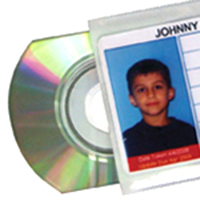 If your disc package requires printed literature or documentation, the addition of a graphic pocket is an attractive, economical choice. 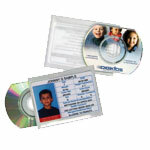 Not only are graphic pocket additions eye-catching, they’re also easily applied our fully-integrated automated insertion process can assemble discs and graphics simultaneously. Our acrylic-based adhesive is an ideal solution for clients in need of a functional, permanent product enhancement. 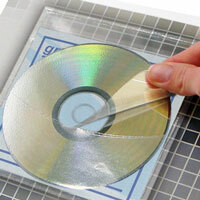 Univenture produces a series of products that incorporate a full peel-and-stick adhesive backing. All products in this line use an acrylic-based adhesive with a high tack level to guarantee a permanent placement. Software, for example, can be included in a safe manner while remaining unobtrusive. Adhesive-backed products are available both ready-made and subject to customization in various sizes, so we have the capability to enhance practically any product with an adhesive addition.